Princeton wildfire photos courtesy of Debbie Lyon. \ The fires in British Columbia continue to seem strong despite constant efforts from authorities to stop it. There are currently more evacuation orders being given out to citizens. There is now a total of 14,00 people that have been forced to evacuate for their own safety. They've left behind a lot of their belonging and are unsure of what might happen to them at all. The evac orders are for areas known as Big Creek, Talta Lake, Loon Lake, and Village of Clinton. These orders were reportedly issued because of one particular fire in the region. The fire is called the Ashcroft fire and has caused a lot of damages to places like homes and stores. 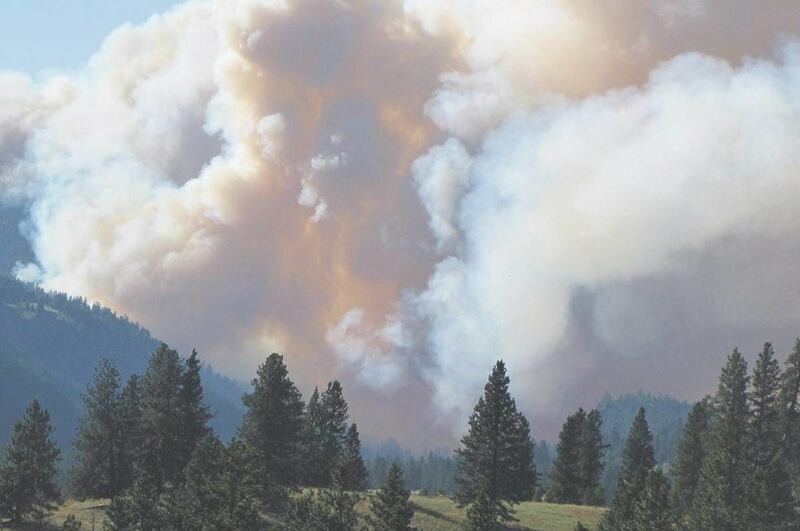 The Mayor of Village of Clinton Jim Rivett said: "Basically when it got to what's called Scotty Creek, a decision was made that Clinton would be put on alert,"
According to the B.C wildfire service, there are 124 fires currently active. Which might still be a lot but it's far less than the around 300 fires that were going on about a week ago. Environment Canada is said to have mentioned that there might even be some bad weather. There might be winds going up to 50 kilometers per hour. If this does happen, it will surely not help the authorities that are fighting these fires. It could also limit the aerial support that the authorities need to help fight these wildfires. These fires most likely started because of a lack of rain, and perhaps some lighting. These fires are also hard to take out since there is so much fuel for the fire to actually burn that it's extremely difficult for firefighters to slow down the fire.